178,432 100% trouble free miles. I'v replaced 5 headlight bulbs and one license plate light bulb. I'v changed the oil and filter every 5000 miles and use extended performance Mobil 1 full synthetic oil and filters. It still doesn't use oil between oil changes and it still has the factory brakes on it. I did replace the OE shocks earlier this year and replaced the spark plugs twice and plug wires once. Pugly was proudly union built in Flint, Michigan USA with your hard earned tax bailout money. It was the American way. Pugly was made in the plant my friend works at, so he may have been involved with making it. Last week when I got to my mom's house I checked my odometer which I don't do very often. 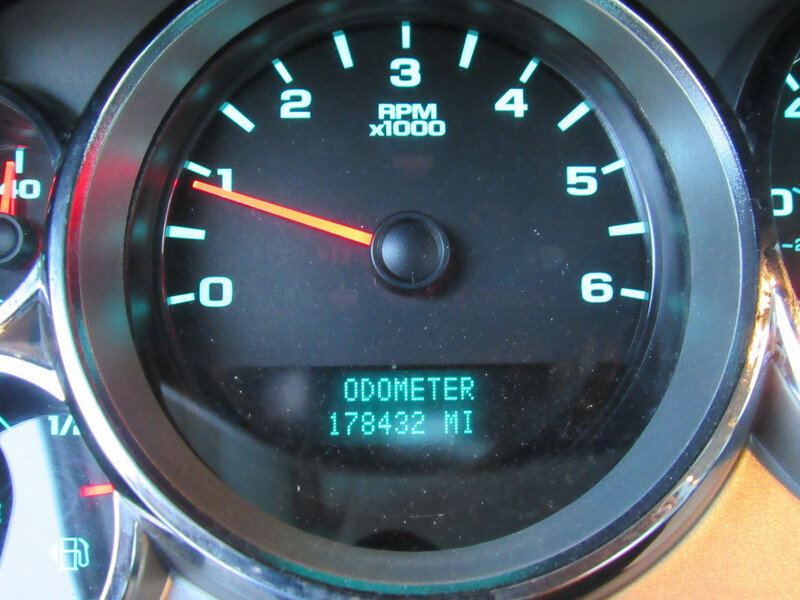 My mileage was 70777. In another 10 years it may due for its first tune up, but probably not. There may not be anything left of the rocker panels by then because they're already rusting away. Yeah they don't build them like used to. 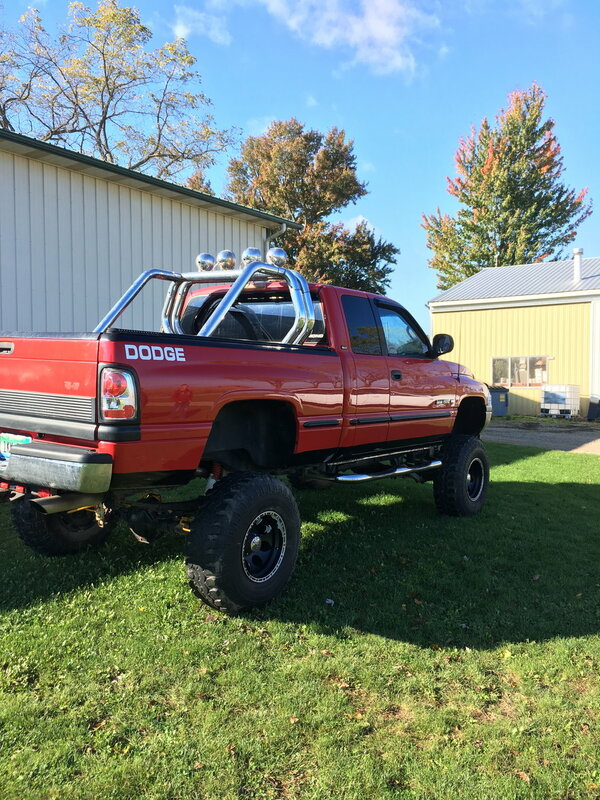 I am stil driving my Ram/cummins Diesel. Although I did have an AC compressor eat itself. 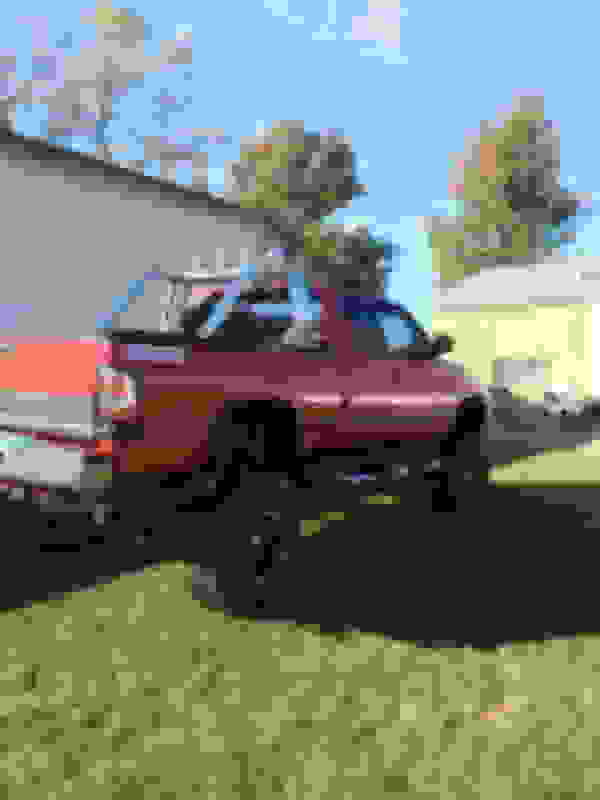 it is 13 years old, only ,72,000+ miles on it. Given my advances age now, I think it will last me till I die. If I die I won't need a new truck! I never looked at it that way before, but I think its body will rot away before mine. 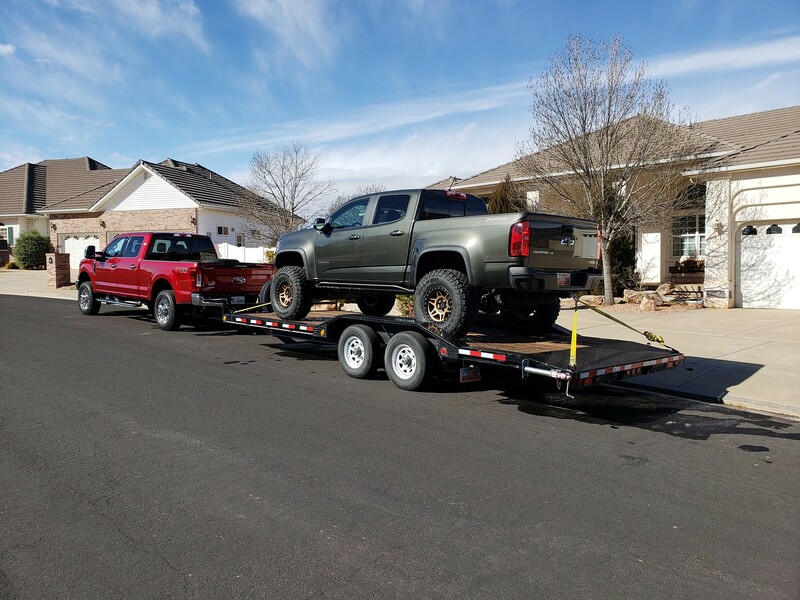 I had the occasion the other day to tow my small truck with my big truck. I had 4.10 gears installed on the small truck, and didn't want to use 100 miles of 80 mph on the interstate by my gear break-in technique of choice, so I trailered it home. I tie down my quad better than that. 4 separate straps, one on each corner. All on the frame itself or parts solidly attached to the frame. Or 2 straps on the front and 1 on the rear the one time someone needed to borrow a strap of mine for a short trip. I have extra straps in the back of my truck now. I finally got my oil changed in the afternoon and went to a few different stores while I was out. When I got home I had 78,000 miles. I already knew I needed 4 new tires but when I got the oil changed I had a coupon for a free alignment and tire rotation. They said everything in the front end was worn out so bad they can't even do a proper alignment. They gave me a whole list of things that are bad including the idler arm, tie-rod ends, and brake rotors. Everything including brakes and a new set of tires would cost me about $2,000 that I don't have. 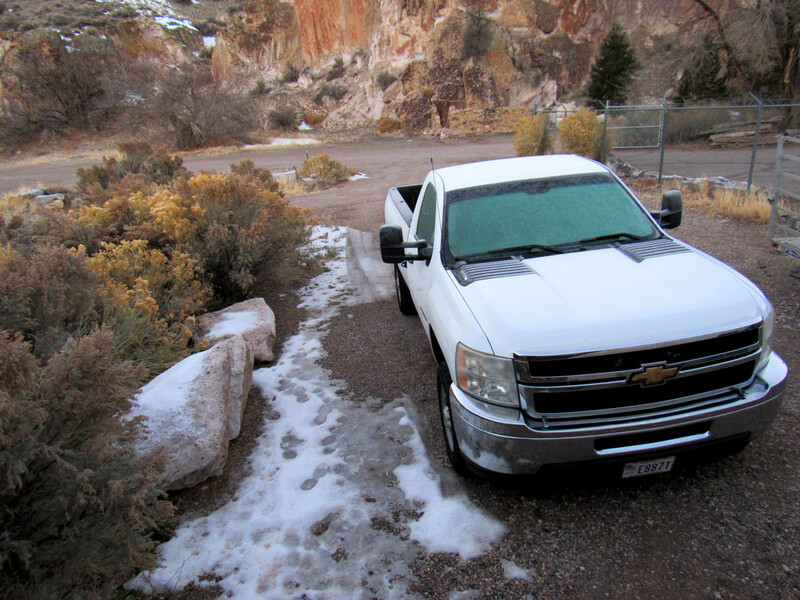 Plus I think I have a broken cable on my parking brake, but I don't want to lay on the cold ground to look. And it still has the same shocks it came from the factory with back in 2000. Maybe I should get them replaced too. It's been awhile since I had a brake job but I'll get a second opinion on whether all 4 rotors are bad.